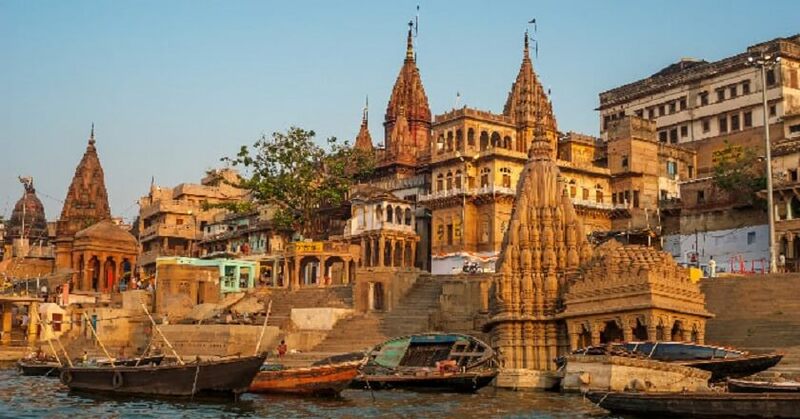 Have a Amazing Religious tour at one of the Ancient places like Kashi and Triveni Sangam, Both these places hold very important place in Hindu Religion. Kasi or Varanasi which is beleived to be oldest city of world and situated on Trishul of Lord Shiva, You will have chance to explore narrow lanes of Varanasi which like this from past many year. Other city Allahabad is famous for Triveni sangam, In Allahabad all thre holy rvier of India Ganges, Sarsawati and Yamuna meets at Allahabad which is also know as Pryag. In morning transfer to Allahabad where take bath in triveni sangam and later visit Bada hanuman, Patalpuri, Akshayvat, Bhardwaj ashram, Anand bhawan and return to varanasi in evening. Overnight in V​aranasi.